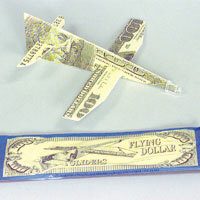 This money really flies. Sturdy foam glider. 8 inch. $2.65 per dozen for 96 dozen or more.